Apply to fruit and vegetable crops, lawns, and ornamental plants when pests are visible. Controls borer, bagworm, fire ants, thrips, tent caterpillars, and more. Prevents sprouts and kills stumps. 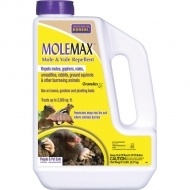 Recommended for the control of unwanted woody plants, vines and broadleaf weeds around homes, cabins, fences, walkways, and other noncrop areas. To kill stumps and prevent sprouting, apply the undiluted product to completely cover the freshly cut surface. Ready to use. Active ingredients: 8.8% Triclopyr (3,5,6-trichloro-2-Pyridinyloxyacetic acid), as the Triethylamine salt. Controls unwanted woody plants, vines, Poison Ivy and broadleaf weeds around homes, cabins, buildings, trails, fences, walkways and other non-crop areas. 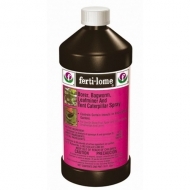 Application Rates Foliage spray: 8-16 tablespoons per gallon to 500 sq. ft. Stump Treatment: Apply undiluted product with a paint brush to completely cover the fresh cut surface. 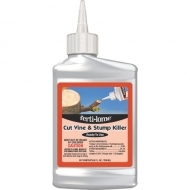 Vine Control: Cut the vine first and treat as directed for stump treatment. Frost protection for vegetables, fruits and ornamentals. 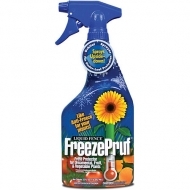 FreezePruf protects the plant externally and internally by enhancing both its natural “anti-freeze” like properties and its ability to survive ice crystal damage. Natural Guard Brand Neem is an effective fungicide for the prevention and control of various fungal diseases including powdery mildew, black spot, downy mildew, anthracnose, rust, leaf spot, botrytis, needle rust, scab, and flowerm twig, blight, and alternaria. As a preventive, apply Natural Guard Brand Neem on a 7 to 14 day schedule until the potential for disease development is no longer present. Spray to run off. Complete coverage of all plant tissue is necessary for control. To control disease already present, apply this product on a 7-day schedule until disease pressure is eliminated. Then continue spraying on 14-day schedule to prevent the disease from recurring. Spray to run off. Complete coverage of all plant tissue is necessary for control. Asphalt base. 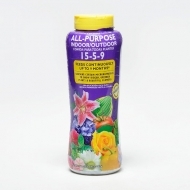 Fast & Easy to use aerosol spray can. A protective seal for pruning cuts. Spray ends of pruned branches and limbs thoroughly to provide a tough, rapid drying coating over pruned areas. To prevent stopping up of spray nozzle during storage, the can should be inverted and sprayed for a few seconds after use. Fast & easy to use protective seal for pruning cuts, grafts or damaged trees and woody shrubs. Provides a tough, elastic rapid drying coating over the cut area. Apply to all cuts 1/2 inch in diameter or larger. Concentrated 2,4-D herbicide formulation Economical control of broadleaf weeds in lawns pastures rangeland corn sorghum wheat and barley Can be mixed with other products Also use on fencerows drainage ditchbanks rights-of-way and industrial sites. 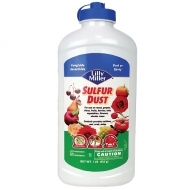 2 to 4 tablespoons per gallon of water when mixed with insecticides, miticides, fungicides, liquid fertilizers and herbicides. 4.3 oz per gallon covers 500 sq. ft.
IMAGE® for St. Augustinegrass and Centipedegrass is a selective herbicide for tough, broadleaf and grassy weed control. It contains atrazine, a well-known and highly effective herbicide for weed control in St. Augustine and centipede grasses. 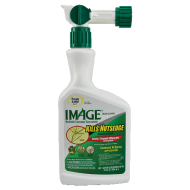 IMAGE® for St. Augustine grass and centipede grass controls dollar-weed, sandspur, spurweed, florida betony, annual bluegrass (Poa annua) and many other problem weeds in St. Augustine grass and centipede grass turfs. Use IMAGE® Kills Nutsedge to give your lawn the look you've always wanted without the weeds. It is a post-emergent, selective weed killer for use in southern turf grass and selected ornamentals. 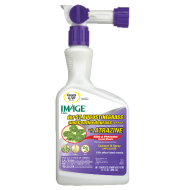 IMAGE® herbicide targets the toughest southern weeds, including yellow and purple nutsedge, dollar weed, wild onion and annual blue grass. Contains a patented ingredient that starves weeds to death. Kills nutsedge in warm season grasses. 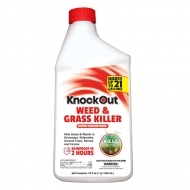 Kills tough weeds, including nutsedge, dollarweed, wild onion, sandbur, and annual bluegrass. Can be used safely on most southern grasses, see label for specifics. 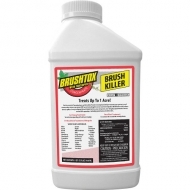 BRUSHTOX™ is a concentrated herbicide that works both economically and effectively on rangeland, permanent grass pastures, fencerows, ditch banks and rights-of-way on acreage large and small. It may be applied to woody or herbaceous broadleaf plants as a foliar spray or as a basal bark (spraying trunk) or cut stump application to woody plants. For basal bark treatment of mesquite mix one part BRUSHTOX with four parts diesel. Contains a bait that attracts foraging fire ants and is redily taken back into the nest as food for the colony. Fire ants that consume the bait will appear sick and lethargic within 12-24 hours. Dead ants will frequently be seen near mounds 24-36 hours after application. Mound rate: Mounds less than 15 in. in diameter - 4 Tbs. per mound evenly distributed over the mound and extended out about 2 ft. surrounding the mound. Makes blossoms set fruit despite poor weather. Nearly every blossom will produce larger, meatier, almost seedless tomatoes, ripening up to 3 weeks earlier. Also for use on other veg. plants! Formulation: Bacillus Thuringiensis. 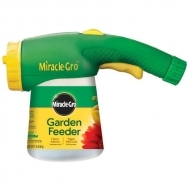 Provides control of insects on vegetables, flowers, shrubs and lawns. 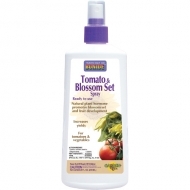 Controls Tomato Hornworms, Bagworms, Armyworms, Webworms, Gypsy Moth Larvae, Cankerworms, Loopers, Tent Caterpillar, Tomato Fruitworms, Sod Webworms, Variegated Cutworms, Imported Cabbage Worms, Rindworms, Melonworms and other listed worms. 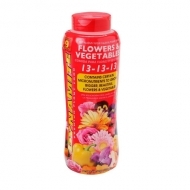 Application: Dust to thoroughly cover all plant surfaces. Apply when insects or their damage first appear and repeat as necessary. 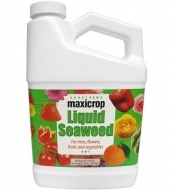 Excellent for all flowering shrubs, trees, landscape plants, foliage, houseplants, ferns, palms, grasses and herbs. Contains balanced rates of NPK + micro-nutrients to aid in the establishment of roots, strong stems and branches, greener foliage and more blooms. Soil Mender Rock Phosphate promotes plant photosynthesis and high yields, and helps deter weed growth. 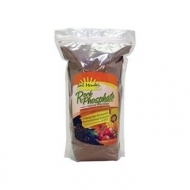 It is an all natural source of phosphorus which is responsible for root development and fruit and flower production in plants. Rock Phosphate slowly feeds plant roots as the plants need it. Use only as directed.